Lately I’ve had the pleasure of enjoying a variety of Wild Turkey Kentucky Spirit releases spanning the last decade. From standard retail bottles to private barrel selections (and samples of both as well), I’m continually impressed with the overall profile. In the recent past I’ve been a pinch tough on Kentucky Spirit – primarily because it’s such a wildcard in comparison to Russell’s Reserve Single Barrel. I’m not ready to pull the wildcard stamp from Kentucky Spirit just yet, but I’ll say that when you do find a nice barrel/bottle it can be sublime. While I’m no stranger to single-barrel comparisons, I’ve yet to try a comparison of three single-barrels matured at the same rickhouse. With my recent influx of Wild Turkey Kentucky Spirit releases and samples, several from Warehouse B, I think now’s a perfect time. None of this would be possible, however, were it not for the generosity of some true Turkey friends. Thanks fellas! Overall: Even though Kentucky Spirit is a single-barrel expression and varies as such, this 2007 release tastes exactly as expected. I’ve had a fair number of mid/late-2000’s WTKS, all with similar (and excellent) profiles. This one is no different. It’s solid classic-profile Wild Turkey – undeniably flavorful and balanced with hints of dusty-era WT 101. In other words, a fantastic sipper in every way. Truth be told, there’s only one thing I’d change about this particular Kentucky Spirit … the hard reality that I don’t have a whole bottle to enjoy. Overall: I’ll be honest – I think I may have set my hopes a little high with this Kentucky Spirit. I tend to do that with private selections, as one should expect a whiskey that’s a little more exemplar and unique above the standard expression. Don’t get me wrong – it’s a fine pour – it’s just not what I’d consider a standout barrel. 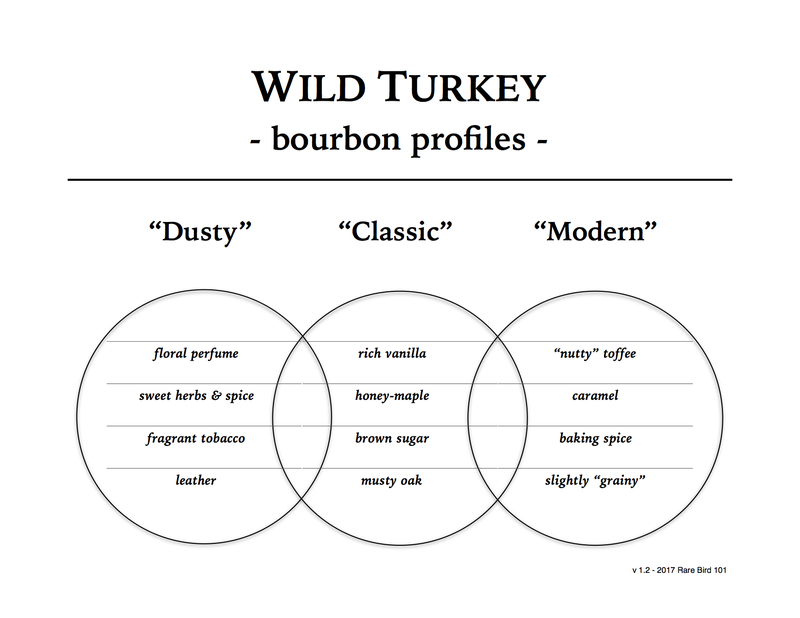 In fact, it’s closer to Wild Turkey 101 in profile, with possibly the exception of some additional candy and fruit notes. As stated earlier – not a bad thing whiskey-wise, but not a great thing value-wise. Thankfully this was a sample, though I’d have no trouble sipping this Kentucky Spirit as an everyday pour. And regardless of value, I’m grateful nonetheless for the opportunity to try it. Closing thoughts: This may just be my favorite side-by-side comparison to date. To start, I love comparing single-barrel Wild Turkey expressions. I’ve done this with Russell’s Reserve Single Barrel releases on several occasions, but until now, never a Wild Turkey Kentucky Spirit comparison. There’s a considerable amount of profile variance to explore with Kentucky Spirit, having been produced far longer than Russell’s SiB, as well as a lower ABV (50.5%) to allow for more tasting. Each of these Kentucky Spirit releases have something unique to offer – all based in Warehouse B DNA. But their differences illustrate other factors of variance. For example, the whiskey in #131 (2007) entered the barrel at 107 proof and aged on the third floor. As a result, there was likely minimal dilution prior to bottling. The whiskey in #696 (2014) entered the barrel at 110-115 proof and aged on the fourth floor, while #079 most certainly had a barrel entry-proof of 115 and spent its time maturing on the fifth floor. #696 and #079 are closer in profile, while #131 stands out and that only makes sense. Regardless of the entry-proof and location differences, it’s always important to remember that Wild Turkey Kentucky Spirit is a single-barrel KSBW expression. Any barrel aged in a traditional wood rickhouse for nearly eight (or more) years will have its own special character. Even if it’s slight – a single barrel whiskey is always unique by nature. As such, Kentucky Spirit is moving more regularly into my rotation. While Russell’s Reserve Single Barrel remains my current favorite Wild Turkey expression, Kentucky Spirit is my preferred pour when I’m looking for bold and unique with a little less ABV. Cheers to Jimmy Russell for making single-barrel Wild Turkey a reality almost 25 years ago. It’s hard to imagine a time when that signature “turkey tail” bottle was absent from shelves. It’s even harder to imagine a future without it. Man am I happy I scored a bottle of Kentucky Spirit. By me these are very hard to come by. I wonder if there are differences between the warehouses or between the barrels? The store I found this in had 2. Both from warehouse K one bottled in Oct 2017 the other In Feb 2018 from different barrels. I wonder how different they are. Didn’t have money to buy both. Good news, Dean! Yes, there will be differences so long as the barrel is a different number. Sometimes the variance is minimal, sometimes world’s apart. The only way to know is to try. But don’t feel pressure to buy them all. There’s plenty more where those came from! Cheers! I found two bottles of WTKS at a local store today, both bottled in 2017, one from Warehouse B and the other from D. (Aside, the one from B was selected by “Oklahomans for Oklahomans” I’m not sure who is in that group, is there somewhere to research that?) I’m anxious to compare them. Meanwhile until I can taste, do you have a comparison guide on general differences between various WT warehouses? If not online, will that be in your book (which I’ve backed and can’t wait to receive!)? Not sure about the OK group, but check out my review of “Fight Me.” That may help! Thanks for commenting.